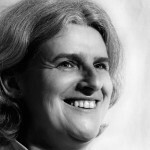 Hello to our faithful followers and a warm welcome to anyone reading these blogs for the first time. 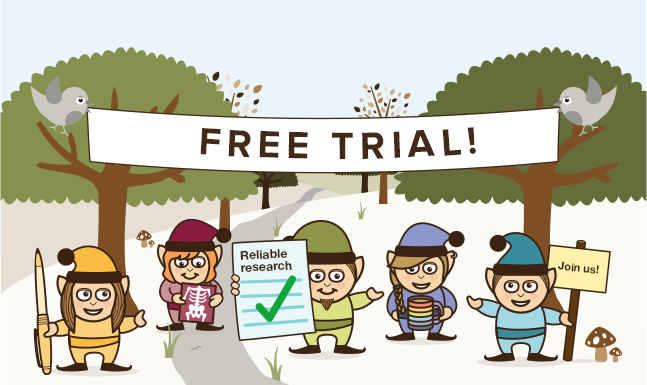 As you may know the MSK Elf has been out of action for a wee while but we are just emerging from hibernation ready for more regular blogs starting in the New Year. 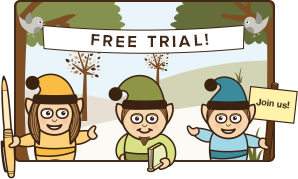 We will also have some new Elves blogging for us and I’m looking forward to introducing them to you over the coming months. So spread the word …..the Musculoskeletal Elf is coming. Check out our social media feeds for more information and updates. As you may know from our previous blogs, we little Musculoskeletal Elves are advocates of taking 30 minutes excercise five times per week and so we have been busy helping Santa get fit for his Christams deliveries. 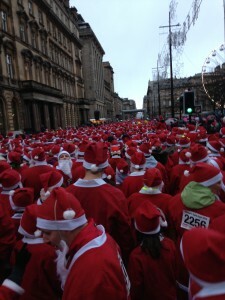 Here we are at Glasgow Santa Dash 2014 where almost 6,000 Santas ran, jogged or walked 5k. It even snowed as we were doing our warm up exercises. 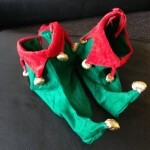 We have been so active that we have worn out our Elf shoes. Fortunately new ones arrived this morning just in time for the Elves Christmas party. Check them out in the picture above.